A culinary force to be reckoned with at just 25 years old, Claudia Martinez whips up wildly indulgent pastries – often lavishly presented to guests via dessert cart – within the walls of Hotel Clermont’s Tiny Lou’s. Always up for a challenge, Martinez was drawn to the elusiveness of baking and presenting guests with a sweet sensation they could not create on their own. 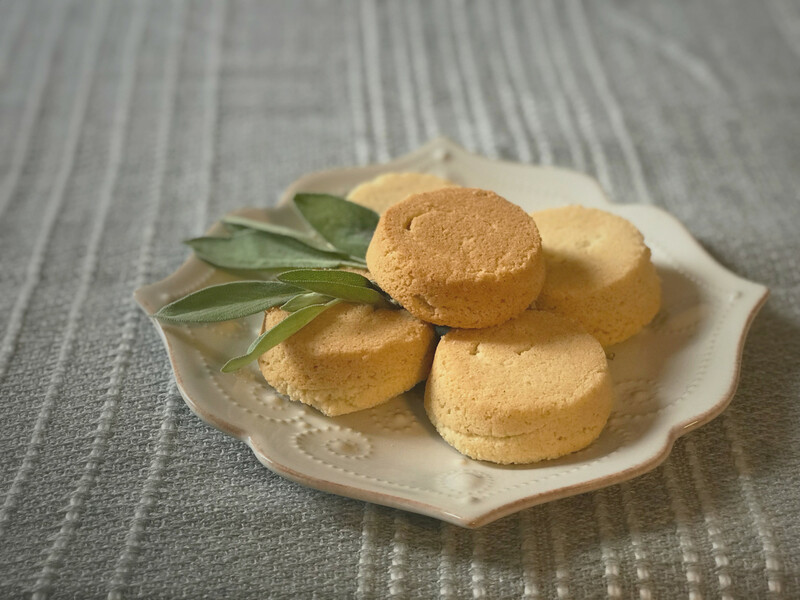 A Georgia-raised Venezuelan, Martinez’s grandmother kick-started her culinary career from a young age, immersing her in the world of cooking, baking, and naturally – eating. After donning a cap and gown from Johnson & Wales University in 2015, Martinez returned to the Peach State to earn her chops alongside James Beard-nominated pastry chef Aaron Russell at Atlanta’s Restaurant Eugene, igniting her passion for fine dining before transitioning to Buckhead’s Umi. On a mission to expand her repertoire of notable colleagues, Martinez relocated to Sweden in 2017 where she studied with chef David Vidal at the Laholmen Hotel. 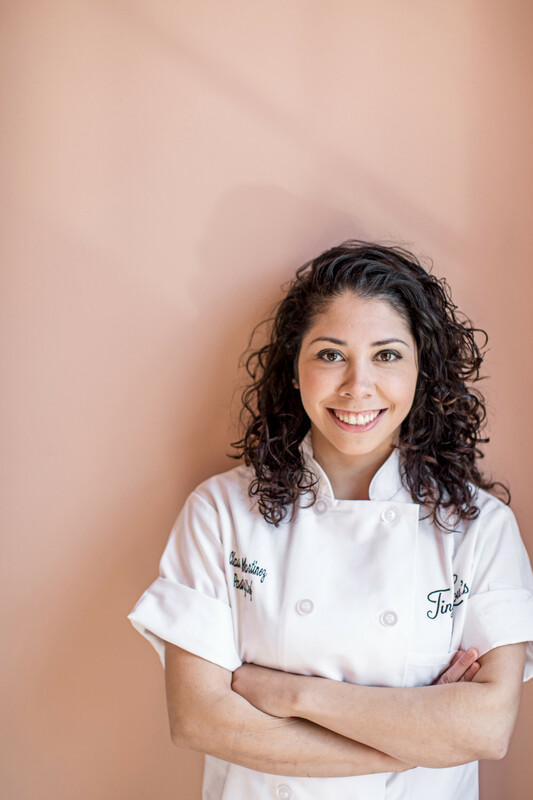 Following her return to the states, Martinez landed a gig as pastry assistant at Atlas in Atlanta, before ultimately joining the Indigo Road crew at Tiny Lou’s as part of the opening team in 2018. A self-proclaimed foodie, travel aficionado and workout junkie, Martinez spends her spare time eating her way through Atlanta, globetrotting (to over 15 countries!) and kickboxing. Her sense of adventure and dedication to her craft is an inspiration to us all! We wanted to find out more about what makes Claudia tick, so we had her answer a few of our baking-related questions and share a recipe featuring Bob’s Red Mill products, so we can replicate it at home. What is your earliest baking memory? My earliest baking memory is when I made Cinnamon Rolls out of Emeril Lagasse’s “There’s a Chef in My Soup” book. This was his cookbook for kids – he was my favorite chef growing up. It was my first time baking anything alone and it took me all day to complete. After my third try and finally understanding the temperature of the water for the yeast – I nailed it. Now I always have to bake cinnamon rolls every once in a while to keep improving. I love them. What do you bake for someone when you want to make them feel special? I am the type of chef who prefers to plate complex unique desserts. However, when it comes to making something special. I think chocolate chip cookies are my go-to. They’re classic, they take people back to their childhood, and they are warming – especially if they are fresh baked and made with the finest chocolate. If we have a busy service I always try to bake extra and hand them out to the staff for a pick-me-up. What is your favorite thing about your work at Tiny Lou’s? My favorite thing about working at Tiny Lou’s is the space itself. Tiny Lou’s is located inside of this cool, trendy, historical Atlanta landmark and I can have fun will all the colors and glitter. The space allows me to have more fun in my baking and incorporate French technique and classics, but add my own spin to it. The team we have right now is amazing – everyone has the same goals and passion to share amazing hospitality and food in Atlanta. What’s the most unique ingredient you like to bake with? I recently fell in love with dark cocoa powder, Dutch processed. It naturally colors everything completely black, which is really fun to bake with. I also love using tropical ingredients like tamarind, acai and passion fruit. Do you have a favorite Bob’s Red Mill ingredient? I like a lot of Bob’s Red Mill gluten free flours, but the coconut flour is my favorite. It is a healthy alternative and adds some flavor to your baking. Financiers are sold in many of the best pastry shops in Paris. Perfect financiers are about as addictive as chocolate. The best have a firm, crusty exterior, and a moist interior. The financier is probably the most popular French pastry – common for morning or afternoon pleasure. The cake’s name probably comes from the fact that a financier resembles a solid gold brick. The special financier molds, each measuring 2 x 4-inches (5 x 10-cm), can be found at restaurant supply shops. Small oval barquette molds, or even muffin tins, could also be used. 540 g Brown butter with 5 leaves of sage steeping. 3. Make the Sage Brown butter. Measure unsalted butter into a small pot and add 5 sage leaves to it. Slowly cook the butter until it begins to brown and has a nutty aroma. Strain the brown butter into a temperature safe container. Let cool. 4. To the dry ingredients in mixer, add the egg whites and mix on speed 2 until the dry and egg whites combine until a loose dough. Slowly add the brown butter and mix on high until fully incorporated. 5. Pan spray the financier mold or muffin tin. 6. Scoop dough into a piping bag and pipe the financier batter into a financier baking dish, or a rectangle molded container. Pipe half way into the mold and place in the oven. Bake for 9 minutes or until the financiers are a light, delicate brown and begin to firm up. Remove from the oven to cool and then pop out the financiers. 7. Enjoy with coffee or your favorite fruit jam! Episode | Have a Grand Time at Feast Portland's Grand Tasting!